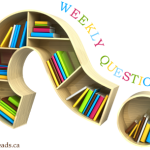 Question: Have You Ever Reached Out To An Author? Reading used to be a pretty solitary experience for me, but now I find myself tweeting progress updates, interacting with other bookworms, posting pictures of ARCs on Instagram, etc. And, more often than not, authors reply to my online fangirling. Sometimes it’s just a quick “hey, thanks for reading”, but other times it can lead to some pretty interesting conversations! At first, I was kind of nervous about all of the attention, but as the years progressed, and I become more comfortable in the blogging community, I began to actively seek out authors. Have You Ever Reached Out To An Author? I did a lot more in the beginning of my blogging journey. Not as much now, but have thought about changing that up some! I’m with you although I’m still not the best fangirl in the sense that I don’t stalk them or get into lengthy convos about their books. There’s only a handful that I converse with, other than that I dont think my name or blog will ring a bell LOL. You’d be surprised. I couldn’t get over the number of authors that recognized my blog when I introduced myself at RT13. I’ve done some. It is great to see an author favorite or retweet a tweet you’ve sent. 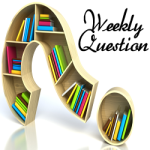 I’ve found that most authors want to interact with their readers and answer questions and things. Since I’ve started blogging I’ve been slowly breaking out of my silent stalker mode, where I would follow them everywhere but never really interact. There are some authors that are really easy for me to reach out too. They’ve been on the blog and we’ve talked back and forth. Then there are others…the ones I worshiped pre-blogging and have all of their books read. Those I still author stalk with the occasional tweet or comment on their blog/FB. I have but I admit it was pretty scary. 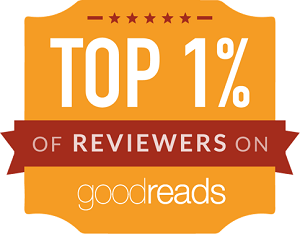 At first it started out with indie authors (who most are big time now! Yay!) that I saw around Twitter or on message boards and then later to bigger known authors. It is still hard for me to reach out and ask them about their books or to be put on an ARC list or whatever but it can be so much fun too to tweet with them on Twitter or follow their blogs and comment on their posts and have them reply back. Ooh yes, it’s amazing getting to watch an indie author’s career take off, and knowing that you’ve been there since the beginning. Yes I reached out and fangirled an author preblogging . I did reach and follow many other authors on twitter and I enjoy talking with them. I did it recently for an author just to let her know that I adored her series and wanted to know if there were going to be more books. Yes, ever since I started book blogging I’ve been reaching out to authors! 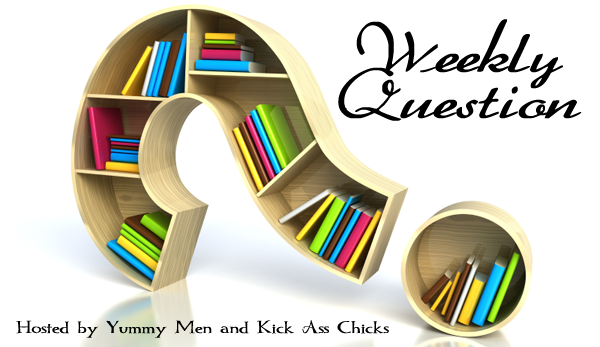 Sometimes it’s just a tag on Twitter if I’m posting a review of a book I loved, other times I ask if they’d like to be featured on the blog in an interview or guest post. Confession: it still makes me super nervous sometimes to do so, because as bibliophiles our favorite authors are like celebrities in our eyes, aren’t they? I’m always feeling so giddy inside and afraid I’d say something dumb! Its crazy because preblogging if I’d seen this post I would have been in awe. I would have told my friends about how you actually TALK to authors! And now, it’s just part of what I do. I’m sure I don’t talk to as many as you do, but my blog is still pretty new. But I’m fb friends with a couple authors and we comment on each others posts frequently. This is why I love being a blogger! (and all of you blogger buddies of course)! I still have fangirl moments whenever an author friends me on Facebook. I can’t help it! I completely agree – the interaction with authors is such a big part of why I love book blogging. I get to ask them questions that I never felt comfortable asking at say even book signings. And I never was one to write fan mails. But now I talk to authors on a weekly basis. They are still my rock stars but now they just feel so much more approachable. I’m the same. Never before blogging but then again I wasn’t much of a reader until shortly before I started blogging. And doing blog events like Stomp vs Romp you kind of have to reach out to authors or you don’t get any authors showing up on your blog. I reach out to them a lot on Twitter to let them know I’m enjoying their books. Planning bloggy events is addictive! I love working with all of the authors. I love talking to authors! It does get weird when you don’t love their book. Luckily, all the authors I’ve talked to have been really professional and there are some I consider friends and email with regularly. I hate it when I don’t like one of my fav authors’ books; it is awkward, but you are right, most take it really well. Even though I’m a blogger now I still feel uncomfortable just reaching out randomly to an author. Now, at author events I’ll chat them up no problem, but I feel strange emailing them or tweeting them a question or something, especially if they don’t even know who I am and I’ve never contacted them before. This is probably more due to me being an introvert than anything else. I’m pretty consistent in my author stalking, so if they are hearing from me, chances are that it’s not the first time. It’s intimidating at first for sure, but once you’ve done it a few times it gets easier. I barely did at all when I first started, I was way too shy and nervous. I do once in a while now, I’m still a bit shy, but there’s a few I have on Twitter that we comment back and forth on random things. I tweet about reviews to their books, and even if they don’t look at it I still feel happy that it’s easy to share my love of their books with them. The longer you blog, the more authors friends you accumulate. Or, at least that’s been my experience. 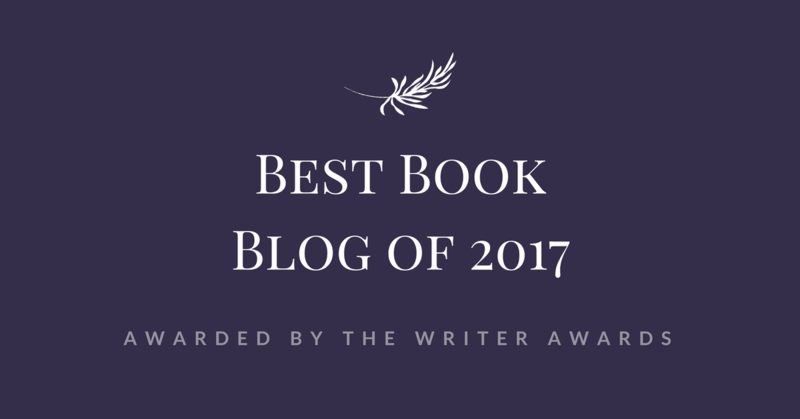 Pre-blogging I reached out to a handful of authors, but it was mostly just to gush about their fabulous books. After starting my blog I wasn’t as shy about reaching out to some of my fave authors, it kind of comes with the blogging territory. In the past I had a preconceived notion that authors are too busy to respond to any fan mail or emails but through blogging I’ve realized most love to hear from their fans and are very down to earth. I can honestly say I haven’t had a bad experience with an author yet and have formed some great friendships in the past couple of years! Pre-blogging I had a less-than-pleasant experience with reaching out with my favorite author at the time that soured me to reaching out for a very long time. I don’t think they intended to come across as if I was an idiot for my query (asking whether they ever did signings in my area) but my feelings were trampled none-the-less. It actually took an author approaching me very early in my blog’s inception (she was offering a guest post) to open my eyes that not all authors (and the people they have assisting them like publicists, assistants, and even spouses) find your approach unwelcome. Now if I have a visceral emotional reaction as I read I’m much more apt to jot off an email or tweet to an author to tell them how their work affected me and I frequently approach them when I know they have a new book that might be touring or need reviews. I do get the occasional “why are you bothering me?”, but I don’t let it get to me. There are plenty of other authors out there who welcome the attention, and those are the ones that are more deserving of it anyway IMO. Gosh yes, I had no qualms about reaching to authors from the beginning and as my blog has grown and grown I have gotten some of my favs like Ann Aguirre, Dayrnda Jones and Jay Kristoff on my blog, big fan girl moments! I think it’s cool that no matter how long we’ve been blogging for we all still have our fangirl moments. You should get out there and socialize! It’s great fun! My first interaction with an author was almost a year ago and it was pre-blog. That small interaction was so fantastic that it inspired me to start blogging and I have LOVED it! I don’t hesitate to reach out to authors at all now. I think most of them like getting a pat on the back for their hard work. That’s awesome that that one interaction kickstarted your blogging journey! I talk to them all the time through Twitter. It is twitter, the most social of the social medias. I have zero problem jumping in on conversations, and so far, no one seems to have a problem with it. I once got a free book from an author when we were joking around about names being misspelled and she saw I had spelled her’s right in my review. Pre-blogging I didn’t either. I did chat with one or two (or a few) on Shelfari, but it was more of them reaching out to me. After I’d been blogging for a few months I started reaching out and now I find myself so busy I’m not as much. But I try to tweet, post pictures, etc. It’s not as much chatting on social media as it was before, but I’m not too shy to let them know that I’m loving their book. It’s hard to find time for everything, but I make a point of making the rounds at least once a week. I admit I’m still a little timid – but I’m getting braver. 🙂 And the authors I do interact with are so kind and generous. Keep at it! You’d be surprised how receptive most of them are. I’m still tentative about reaching out — I don’t want to “disturb” them (I’m like that with my friends, too…just one of those weird personality quirks of mine!). However, just about every author I’ve reached out to has been fantastic and welcoming. I’m bad about going outside of my circle, though (probably why my blog is still quite small, compared to others who’ve been around as long as me.). I used to think of authors as sort of rock stars, ya know? Now, I just see them as regular people. Some are more rock star status than others, which makes me giddy when I get to interact with them. But I’m not afraid to reach out anymore. Euuh, authors ARE my rockstars! Duh! Yes, I stalk, follow, tweet, facebook and send notes..LOL I love getting to know the person behind the book, and most are so down to earth. I could see myself having coffee with them and hanging out. Exactly! So, it’s a win/win! I never did before I became a blogger. Now I don’t mind messaging some of them. You’re right, I never reached out to authors until this whole book blogging and social media thing and they are such lovely people! I totally fangirl when they reply to my comments on Twitter or follow me back. It never gets old. I always do a little happy dance whenever an author follows me back! I think I’m still too nervous to reach directly out to them but I do love talking to them and realizing they are actual people 😉 It’s so awesome when you get to have a conversation about them or realizing they follow you. Fun post! I did and I am always excited when they respond to my tweets or e-mails. I don’t live anywhere near book signings or similar events so that is my only way to get in touch with them and I am so grateful for all modern technology. As an author, I can say I love it when readers reach out to me and say Hello. YAY! It’s great to have an author agree with my discussion post. Thanks for stopping by! I do sometimes reach out to author, yep. When I do though, it’s always online (if you think Canada is kinna far away from the author events, you should imagine how fun it is for me from all the way into Europe, lol. I think Veronica Roth was over here at some point, but I can’t say I know of other names right now…). Anyways, I’m kind of shy about it, or better said I feel it has to be some really juicy reason, one that doesn’t make me feel guilty for taking up their time or stuff like that…. lol, it’s why I’m more of a ninja stalker, I guess. I still get really shy about reaching out to authors sometimes as my blog is tiny compared to some of the awesome blogs out there (like yours). I would love to go to a book convention.. I don’t even know if SA has any… if they did it would be in the main cities like JHB or CT – I live about 8 hours from both! I do have some good relationships with some newer authors and I really enjoy those!